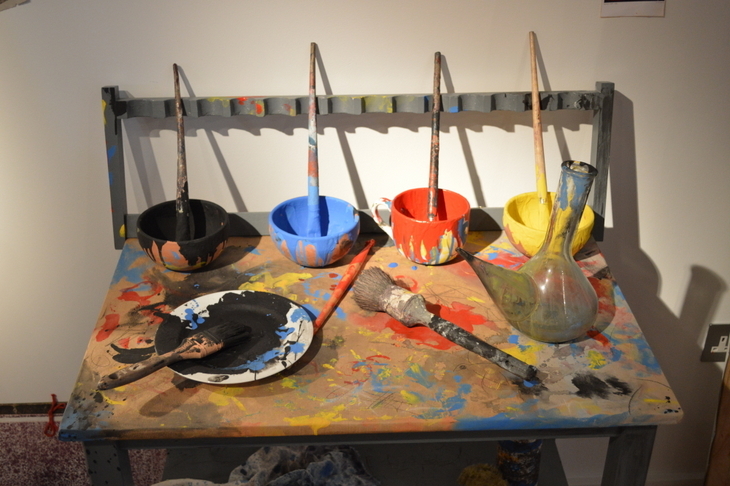 Works sit on easels with paint splattered on the floor. Image courtesy Mayoral. 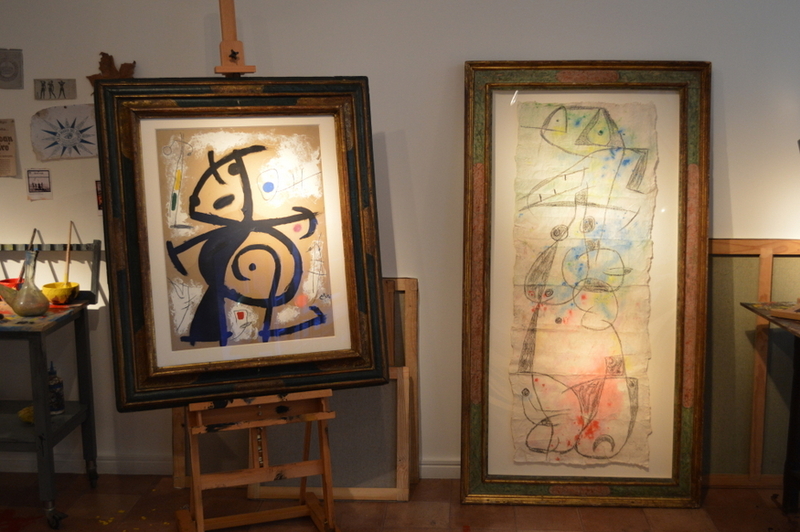 Joan Miro was one of the most influential artists of the 20th century and his studio — founded in Mallorca, Spain, 60 years ago — has been recreated in Mayfair to mark this anniversary. The attention to detail is superb, right down to splashes of paint on the floor and a screen at the back of the gallery in the style of the rear wall of the original studio. There is an assortment of seashells collected by Miro, used palettes and even a replica of his rocking chair. Visitors can almost smell the paint and there is an air of creativity about the place, even though none of the works featured were actually created here and are several decades old. We're not the biggest fans of Miro's work but even we were won over by this show. Downstairs there is a video of Miro and many of his letters to provide the story behind the creation of this studio, and a little insight into his mind. This style of all-encompassing exhibition is very effective. We've seen a similar theme used to great effect by Stephen Friedman Gallery and by Helly Nahmad at Frieze — this is yet another triumph. It's as if Miro was painting here last week. Image courtesy Mayoral. Miro's studio is on at Mayoral, 6 Duke Street, St. James's. SW1Y 6BN until 12 February. Entrance is free.